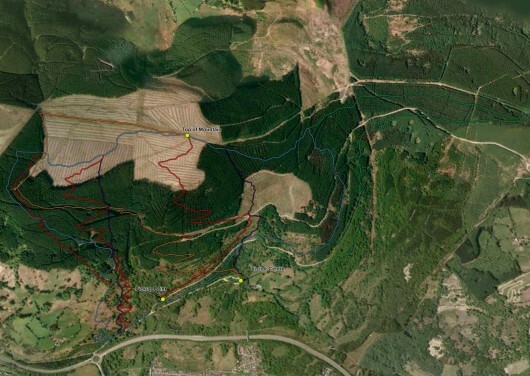 Bike park Wales is a hugely anticipated project that is truly going to cement Wales in mountain biking history. 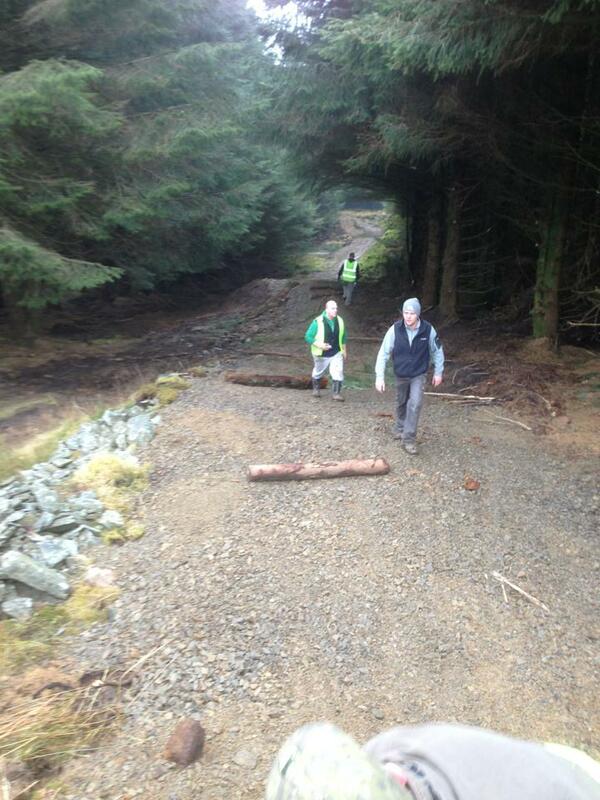 Work has started and Back on Track and a group of volunteers from Aberdare MTB have been hard at work! There is going to be a variety of different trails for all skill levels, and option of an uplift service as well as on site facilities. Tender for a shuttle service is now up via Sell to Wales to appoint a shuttle service to the bike park and between other Cognation sites in South Wales. Things are certainly moving quickly. Work is expected to be completed by Autumn, and with all hands on deck, including the trail builders, local mountain bikers and Cognation, it is certainly shaping up to be something special. Aberdare MTB club is the biggest mountain biking club in South Wales with over 150 members. Bike Park Wales advertise dig days via their Facebook page. “Sadly on Sunday we had motocross bikes on the old dragon run and mountain bikers (who should know better) on one of our blue runs.We have put a lot of time and effort into both of these trails and every time this happens we lose a day repairing them. Ultimately this means we will have less on opening day. 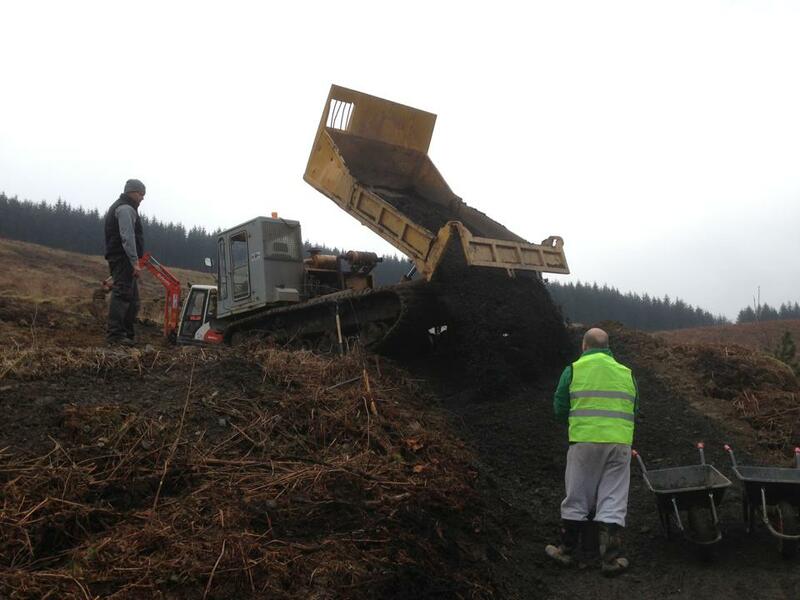 Please share this link and ask any motocross friends who ride in Gethin to stay off the new tracks we are building, the same goes for any mountain bikers (if you want an early taster – join the hard working boys on the next dig day and you will go on “the special list”!). For anyone who doesn’t know GETHIN WOODS IS CLOSED, all rights of way (and public access) have been suspended until the park opens. If people continue this behaviour the site opening will be delayed. 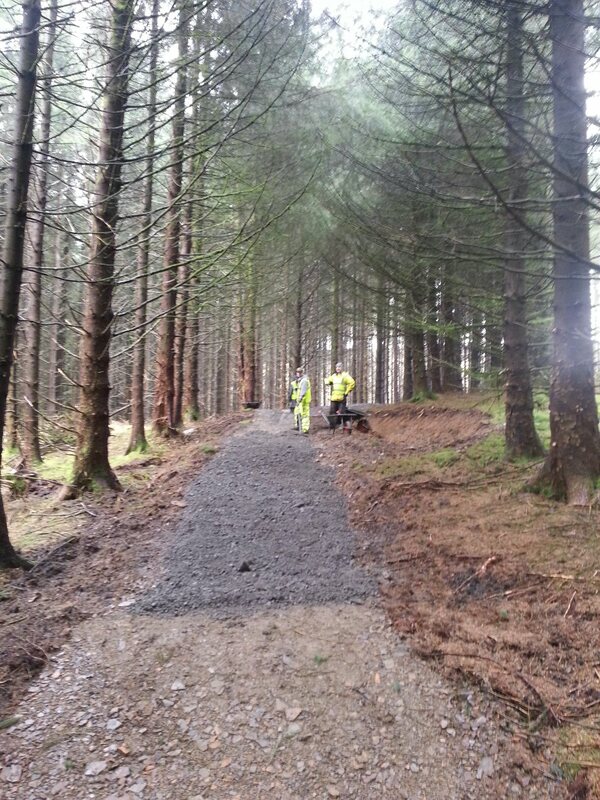 Work has begun on a few of the downhill runs, and things are looking BIG! Reminder: The site is closed until construction is finished, it is a construction site, and all trails in Gethin Woods are closed. Police will be patrolling the area, and people are reminded that riding the trails will ruin all the hard work that has gone into them so far, and cause delays. Please be considerate and wait until they are open before you ride. It is private land, and riding it without permission will result in work being delayed, and possible criminal proceedings.